Need access to a book now? You got it! 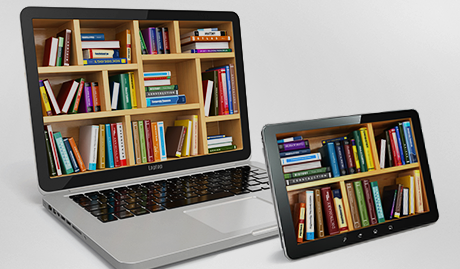 The Wilmington University Library provides online access to thousands of eBooks! Use the search box to the right to search for ebooks. On the results page, the left column will allow you to limit your search. Just check the box next to eBook on the results page. Ebook Central - This collection provides access to a growing selection of over 100,000 titles from trusted publishers in all academic subject areas, along with powerful research tools. EBSCO eBooks - Search over 8,000 ebooks from EBSCOhost. Now available: Ebsco eBooks App! Nursing eBooks: R2 Digital Library - Search for eBooks in the areas of Medicine, Nursing & Allied Health. Professional and Applied Computing eBook Collection - This collection includes eBooks on a variety of subjects in the field of computing. Some titles available are Managing Risk and Information Security, Embedded Firmware Solutions, Platform Embedded Security Technology Revealed and many more! PsycBOOKS - Search over 60,000 book chapters and over 3,900 peer-reviewed books in the fields of psychology and behavioral science. We are experiencing technical issues with the Discovery Search box in the Library Guides. Please click here to search using Discovery on the Library Homepage. These links are available to the general public without a Wilmington University log-in. No registration or account necessary for unlimited free eBook downloads. "HathiTrust is a partnership of major research institutions and libraries working to ensure that the cultural record is preserved and accessible long into the future. There are more than sixty partners in HathiTrust, and membership is open to institutions worldwide." This site requires free registration and access is limited to 5 PDFs and/or TXTs, or eBook downloads per month. Find textbooks that are not only free to learners, but open to editing by anyone.